Disclaimer: The following is an opinion piece. People may not agree with what is being said, but I by all means encourage readers to engage in discussion about the following views and opinions. I originally wanted to write an article about the frustration I felt towards Double Fine when they announced that Broken Age would be split up into two pieces and the first part would be sold on Steam Early Access. I felt that Double Fine were taking advantage of their fanbase, and were gambling with fan’s money as if no risk is involved. Double Fine themselves had admitted that they had taken their idea to publishers before, only for publishers to turn them down, saying there wasn’t a market for adventure games. For all we know, Double Fine has that entire market already invested in its project, but are acting as if their sales for Broken Age in January are all but confirmed. I decided to skip writing this article in the end as I felt it was a bit hypocritical of me to be frustrated when I hadn’t kickstarted the project, and let it be. To the public’s surprise, yesterday saw Double Fine release a new game called Spacebase DF9, a game that was conceived during their “Amnesia Fortnight” where the whole company makes new game concepts that may one day turn into a product. I say this is a surprise as Double Fine still have 2 other projects that are yet to finish, and they’ve decided to add a third to the fray. 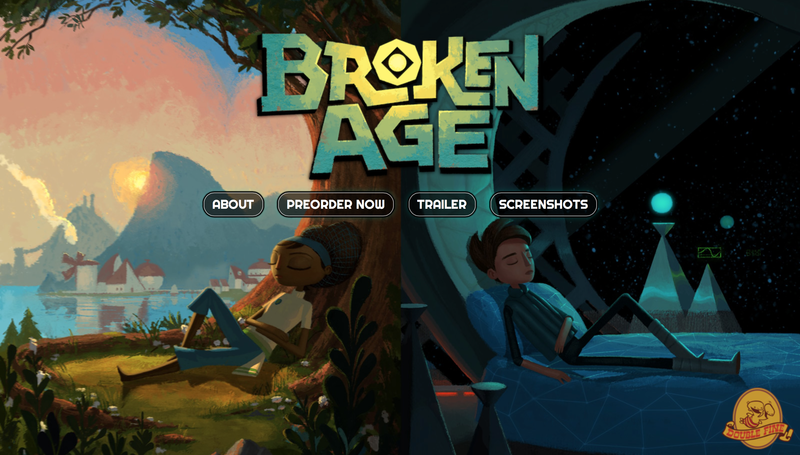 Broken Age does indeed look pretty, but was it really necessary considering it’s over budget? Double Fine are from the same camp that says graphics do not make a game, yet go out of their way to generate reflections in water, something which I would class as “graphics and aesthetic not needed to fulfil the core game”. In the past, Double Fine have indeed worked on multiple projects, as many fans have been quick to point out. The difference this time is their use of Kickstarter and Steam Early Access, 2 services that were built to support and maintain indie developers that don’t have access to publishers, something which Double Fine has. In the past, fans didn’t complain about these multiple projects because Double Fine were using publisher’s money, which is the same for every developer in the industry. What makes this wrong is that Double Fine are now messing with their own fan’s money directly, rather than fans just being annoyed that a game has been delayed. It sets a bad precedent that Kickstarter can indeed fail if Broken Age’s sales don’t meet expectations in January, something which everyone seems to gloss over and act as if it’s not a big deal. I can’t help but feel that Double Fine has been getting a free pass with fans lately. First they overspend on their project which made 8x as much as was needed, and the fans rushed to bless them for making a more ambitious game and being open and transparent with everyone. Next, we don’t hear much about their second game in development, Massive Chalice, and now we get a new alpha game that is still early in development, yet is being sold at a premium price. If any other company were to do any of the above, the gaming industry would be up in arms, telling the developers where they could stick it. But ohhhh no, since Double Fine have a few legendary staff who helped make nostalgic games of yesteryear, fans rush to save them from hostility. It’s a bit ridiculous when you look at it from afar, as Double Fine are still yet to deliver on any of the promises they have made with Broken Age and Massive Chalice, and yet fans are still eager to trust them. Some may claim that Double Fine is composed of 60 employees, and they can’t have people sat around doing nothing, so why not make another game? Which would usually be true in most studios, but when Double Fine have the press and the whole community of Kickstarter watching them, why would you risk your game being mediocre? You’d ensure as many staff were working on the main game as possible to ensure that your reputation isn’t tarnished. Whilst massive chalice wasn’t as big of a success as Broken Age, it still broke $1million, meaning it easily has a bigger budget than a lot of indie games and Kickstarter projects out there. Finally, I’m not sure how I feel about early access games recently. I believe that if a customer is willing to buy your broken unfinished game, they should be given an incentive to do so, similar to Minecraft. I bought Minecraft for £8 when it was in beta and was still being fixed and expanded. I felt that was a good price, and it continued to get better and better. With the £8 I spent, I got to watch an enterprising, ambitious and unique project grow into the huge success it is today, whilst becoming engrossed in a diverse, intelligently made world, seeing requests and demands for game additions being fulfilled, brilliant customer service in several other ways and a copy of the game in its entirety upon official release. I was rewarded for my belief in an otherwise unproven product and company. But I’m seeing a growing trend of developers charging premium for this “early access”, like with Double Fine’s recent release. As it stands while I type this, they’re charging £18.99 for the privilege of playing a short, broken game, because apparently at that price it’s already a better game than Fez, Super Meat Boy and Braid, to name a few. Fans should be rewarded, not punished, for supporting developers. Double Fine have access to publishers, have access to the industry at large, and have a loyal fan base. These means of funding were made for small, independent developers who don’t have access to the same contacts as big businesses, yet Double Fine seem to be abusing the system. They want all the money to develop a game without any of the responsibility. If Double Fine had to go to a publisher and announce they were delaying their product, the publisher would go insane, possibly dropping funding for the rest of the project, yet if Double Fine do the same with fans that invested and they get applauded for being so open and transparent. And that, my friends, is why I think Double Fine are taking the piss.